Get ready to experience a little Christmas magic! 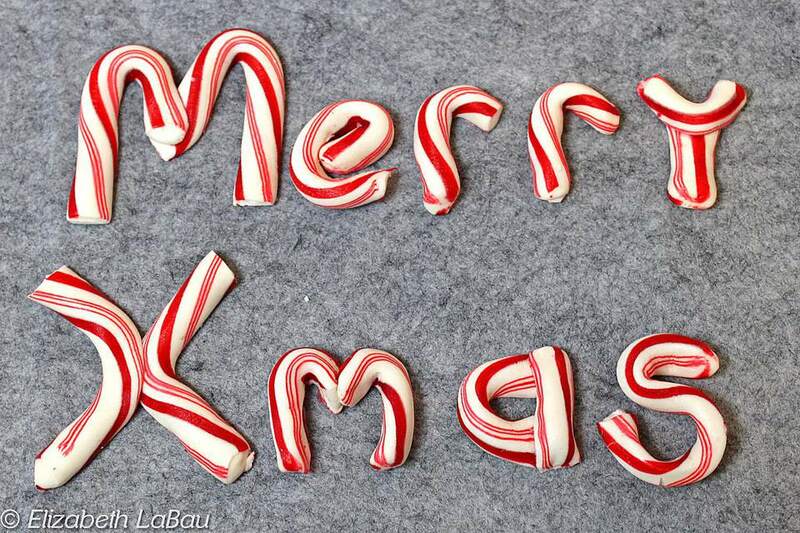 Candy Cane Shapes are customized, edible candy canes molded into whatever words, letters, or shapes you like. By gently heating your candy canes, you can mold them into anything you can imagine. These make a great gift--form them into holiday sayings, names of friends, or shapes to use as Christmas ornaments! These look great with traditional red and white candy canes, but it's also fun to try them with the novelty colored ones--the rainbow ones look especially fun when molded into words or shapes. Unwrap the candy canes, removing all the plastic wrapping completely. It doesn't matter if some of them break during this process, since you will be breaking them or cutting them into different sizes for your shapes anyhow. Preheat your oven to 250 degrees F (120 C) and line a baking sheet with parchment paper or a silicone liner. Place the candy canes on the baking sheet and bake them for 10 minutes at 250 degrees. Remove the tray from the oven, and use a spatula to lift one of the warm candy canes off the tray. Gently form it into the shape you want. If it is too long, you can use scissors or kitchen shears to cut it to the correct size. Set it aside to cool as you move on to another warm candy cane. Leave the candy canes on the warm baking sheet until you are ready to use them, since they get hard fairly quickly once they cool down. If at any point they become too difficult to shape, return them to the oven to soften for a few additional minutes. Don't heat them up too much--just enough to make them moldable again! Once your shapes are formed the way you want them, let them harden completely at cool room temperature. They are rather delicate, so please handle your Candy Cane Shapes with care. If you want to fuse two candy canes together, either press them firmly together when they are just out of the oven, or overlap them at the point where you want to fuse them and place them in the oven for several minutes. If you want to use your Candy Cane Shapes as Christmas ornaments, you can use a small sharp nail or toothpick to poke a small hole in the candy canes when they are very warm. Once cool, thread them with fishing wire or thread to hang.